Actor Bhuwan KC and Jiya KC arrived together to watch the first show of ‘Jerryy’, the movie of Bhuwan’s son on November 14. They looked like husband and wife. There was a rumor of Bhuwan and Jiya living together in June of 2014. After that, a number of film related persons have told that they have spotted Jiya in Bhuwan’s house. 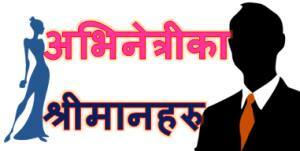 There was also a report of problem in the relationship of Bhuwan with his son Anmol KC over Jiya. Anmol reportedly wasn’t happy of his father’s relationship with Jiya. In a number of interviews, Jiya had admitted that she is in love with Bhuwan and wants to marry him. But, Bhuwan had denied such a relationship and told that he has no plans of marrying her. Bhuwan however told that he thinks Jiya is beautiful actress. After the rumored relationship, Jiya hasn’t worked in any films. 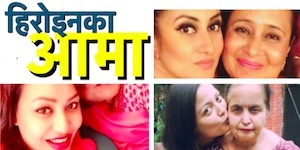 The ‘ATM‘ actress, Jiya is one of the most vulgar actress in the Nepali film industry. She had tried to woo Nepali audience by exposure and vulgar dialogues. When none of her movie could win the hearts of the viewers, she is not working in any movies these days. 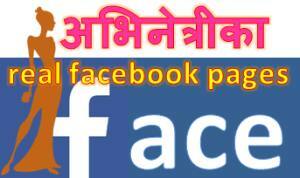 This entry was posted in Gossips and tagged Anmol KC, Bhuwan KC, Jerryy, Jiya KC. Bookmark the permalink.